This is the traditional and well known face of Rotary which involves help and assistance to the aged, the handicapped, the infirm, young people and all those in need either directly or through local charitable organisations. Listed below are typical projects that Rotary Community and Vocational Committee gets involved with. 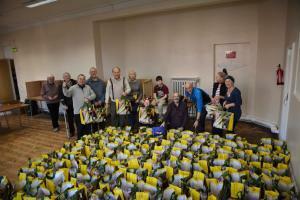 Christmas Food Parcels: Each year local residents donate items of non perishable foods which are collected by Club members, sorted, packed and distributed to local charities and local needy residents. At each annual St Annes Carnival Rotarians organise a coconut shy and other games which enable us to raise funds for the Carnival charities in addition to other charities in the area. Brian House Children's Hospice in Blackpool - The Club provides financial support to this very worthwhile charity. The Club sponsors "Citizenship" awards for secondary schools in the area. 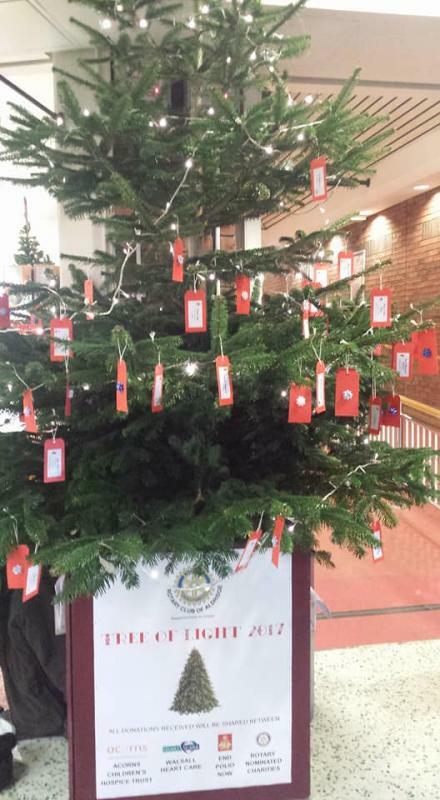 Christmas Tree Festival in St Annes Parish Church. Involvement with the War Memorial Homes in Albany Road, St Annes. 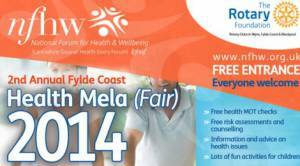 Organises an annual blood pressure checking day in conjunction with Stroke Awareness. Judging in the annual Technology Competition which is attended by many local secondary schools. Organising and running the annual "Youth Speaks" competition for schools in our area. Many individuals are also supported but details of these remain confidential. 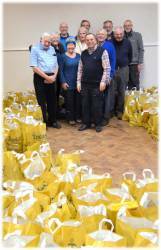 St Annes Rotary launched its first Christmas Food Appeal in 1979 and thanks to the generosity of local residents, the appeal has continued for the past 33 years.Each year hundreds of people benefit from the generous donations that we receive. A group of members enjoyed a guided tour of the Bentley Motors plant in Crewe followed by lunch in Sandbach. However, we did not get the opportunity of driving this machine! This was just one of a number of vocational visits organised by our club. 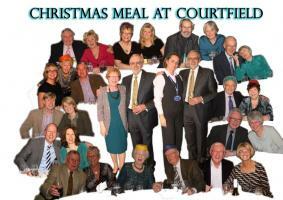 Visit to Courtfield Restaurant at the Blackpool and the Fylde College for a sumptuous Christmas meal. The photograph shows some of our members and partners who enjoyed the evening. A very interesting vocational visit to the St Annes Fire Station where we had a demonstration of a cliff rescue followed by tea, coffee and biscuits with the crew.